NITI Aayog is coming out with a ‘Health Index’ to track the improvement of healthcare in States across India. 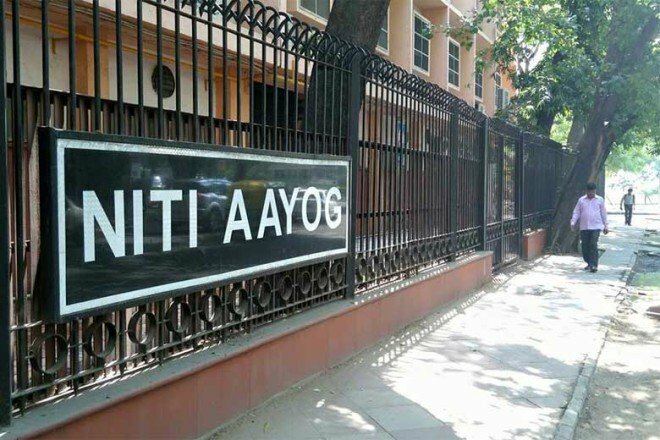 NITI Aayog is a think tank which replaced the Planning Commission. It is a non-statutory body, which means that it was established by a gazette notification of the Government, but not by way of an Act of the Parliament. It is also not a Constitutional body because the Constitution did not establish it. The Central Government is establishing 50 bio-technology labs in the State of Arunachal Pradesh. This will be as a part of the Biotech Labs in Senior Secondary Schools (BliSS) Scheme. The objective is to encourage students in the State to take up career in the biotech fields. Najeeb Jung, the Lieutenant-Governor of Delhi resigned. Note that the Governors of States are appointed by the President on the advice of the Council of Ministers. Such advice is binding. This essentially means that the Council of Ministers appoint the Governors. Governors work during the pleasure of the President, which means that they can be removed whenever the President wants. But if not removed, they have a term of five years. Indian Air Force is going to get another C17 Globemaster These aircrafts enable us to airlift people who are stuck in disasters such as floods, earthquakes, etc. The decision was made by the Defence Acquisition Council (DAC) which is chaired by the Minister of Defence. (Right now, it’s Manohar Parikar). December 24th is the National Consumer Day. The Ministry of Consumer Affairs celebrated it with the theme ‘Alternate Consumer Dispute Resolution’. Remember that ‘World Consumer Day’ is on the 15th of March. Why did India choose December 24th then? Because we wanted to be different. More than that, it was because our Consumer Protection Act, 1986 was passed on December 24. Which year was this Act passed in? Well, take a guess! Also, NLSIU has started Online Consumer Mediation Centre to help resolve disputes between consumers and e-commerce websites. It aims to avoid court cases by attempting to resolve disputes through Mediation between the parties. My name is not important for clat !! Epic!! Your face is not important for CLAT.